Bach & Beyond is a lively celebration of Baroque music, happening each June. Spirited performances of some of the greatest music ever written take place in an acoustically-ideal Victorian setting. Treat yourself to the lighthearted atmosphere that has distinguished the Festival since its beginning in 1996. Top-flight performances by Baroque specialists will leave you applauding for more! Though the musical genius of Johann Sebastian Bach is the foundation of the Festival, each year we include other great composers whose works reflect Bach's inspirational influence. All patrons are invited to help us kick off this year's Festival with chocolates and a little bubbly at a Special Opening Reception on Friday evening at 6:15pm in the Opera House's Reception/Concessions room located on the ground floor of Village Hall. Interested in hearing more about each concert program, how it was developed and specific information about the scheduled works? Come to the concert early to join Maestro Cooper and selected Festival musicians for a 30-minute, in-depth conversation. These special talks are held in the theatre and begin 45 minutes before the concert's scheduled start. They are free to concert ticket holders. Subscriptions are the Best Bargain! Consider a subscription to the 2019 Bach & Beyond Festival. Three concerts over three days for only $51. Individual concert tickets are $20; so, a subscription represents a $9 savings for the three concerts. In addition to saving on the cost of tickets, subscribers are invited to attend a special Subscribers' Reception with the musicians immediately following Sunday's concert! Discount admission and a post-concert reception ... what more incentive to subscribe could there be?!?! Subscribe TODAY! Saturday, June 1, 9am - 3pm ... Join us for the fifth Bach BBQ, Bake Sale & Basket Auction to support the Bach & Beyond Baroque Music Festival! This year's event will be held in the West Barker Common near the Gazebo, and will feature delicious BBQ lunches served between 11:30am and 3pm. There also will be an assortment of delicious homemade baked goods provided by Opera House members and supporters and a basket auction featuring a variety of baskets donated by area businesses and individuals. Each year when June rolls around, Dr. Irene Strychalski delivers her piggy bank full of change to the Opera House to support the annual Bach & Beyond Festival. This year, Dr. Irene is challenging others to do the same. Start saving any time you want; and you don't have to use an actual "piggy" bank. You can use a mason jar, a coffee can, an old cigar box. We'll collect each container on June 1 at the Bach BBQ, Bake Sale and Basket Auction, empty it and count the contents. There'll be prizes for the person who saves the most change and for the person with the most creative container! And, you'll all be helping support a great event! In honor of last year's 20-year Anniversary of Bach & Beyond, Maestro Cooper culled concert recordings from the first 19 festivals and selected some of the best pieces for inclusion in a special 20-year retrospective set of CDs. There are five CDs, each with its own theme ... Disc One features all works of J.S. 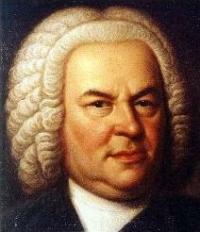 Bach; Disc Two features all "Beyond" works. Disc Three is all vocal selections. Disc Four is "the Symphony and Beyond," while Disc Five is "the Concerto and Beyond." The CDs are available individually for $15 or as a set for $60.